What is the purpose of the low roller stool? 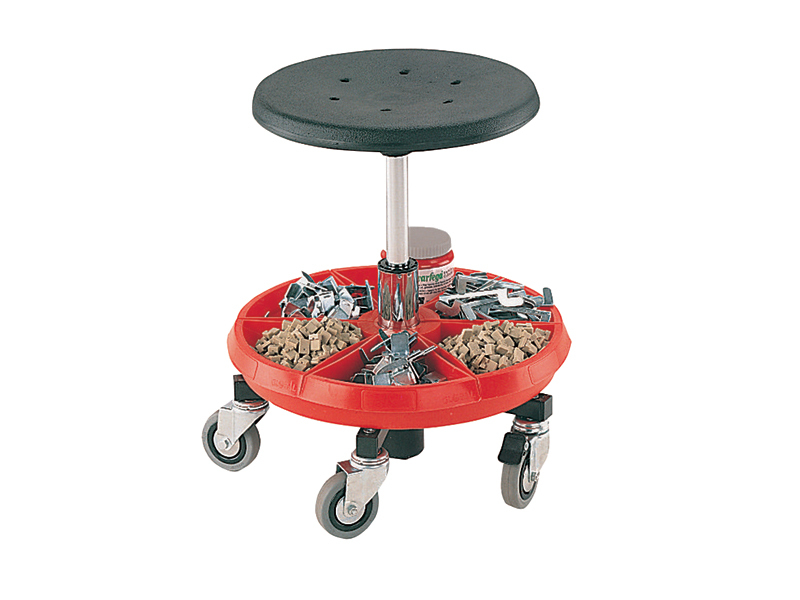 The low roller stool is a perfect multi-function, rapid mobility stool that maximises comfort while emphasising efficient function in busy shops and manufacturing facilities. 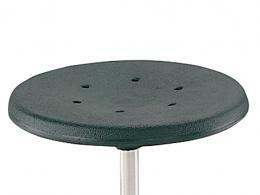 This round, backless stool can on-site and available all the time without getting in the way. Easily store the roller stool under the counter or workbench when it is not needed. The tough black polyurethane seat can take a beating and still look good while providing maximum comfort. 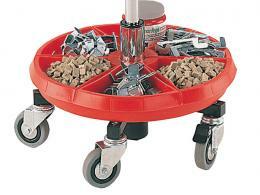 The smooth-glide, swivel castors allow maximum mobility and easy changes in direction of movement. Two of the castors lock, allowing positional stability during work operations. The red plastic parts tray at the base of the stool is perfect for storing all necessary parts and tools while keeping them close at hand. This stool sits low to the ground, allowing easy access to the parts trey and easy fit under counters. 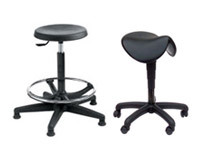 The low roller stool is a natural for any work shop, fabricating facility, jeweler’s shop, electronics repair shop, auto mechanics shop, metal fabricators and die-cutters facility, medical implements and orthotics shop and any other work-room where craftsmen and repairmen need the versatility of a comfortable work stool that also allows frequent, easy changes in location. The low roller stool is suited for jewelers, dental device fabricators, repairmen, electronics manufacturers and repair technicians, tinkers and hobbyists, wood-workers, beauticians and barbers and many other technicians and tradespeople.